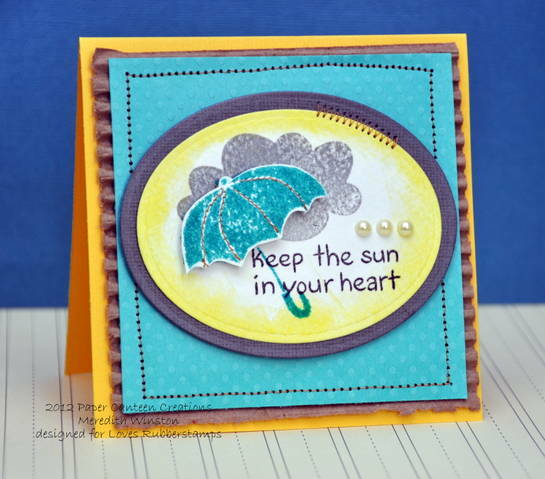 Loves Rubberstamps Blog: Diva-Licious & Sunday Shares...On A Monday! 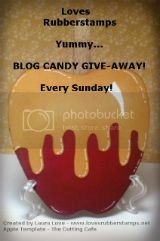 Today's post will be FULL of some yummy eye candy! Today is Monday which means that we have a super cute Olivia Marmara project to share with you! AND because our internet has supposedly had it's LAST HICCUP for awhile (according to our phone company) I will also be sharing the Sunday Shares...today too! 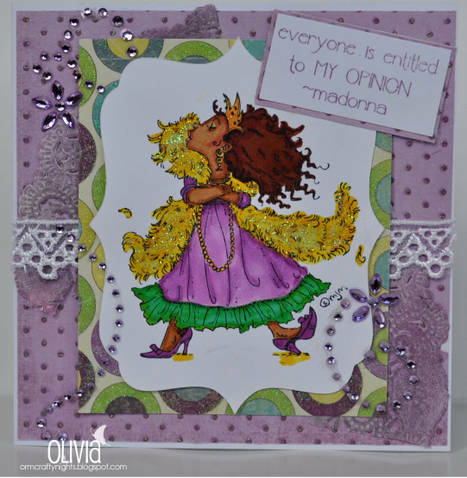 First up... Design Team Member Olivia Marmara created this Diva-Licious card! Isn't that adorable? I LOVE the colors and the bling that Olivia added! This is an image from the Mo Manning Collection from Stamping Bella called ... what else but DIVA! 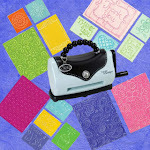 This image will be added to our store with our next order from Stamping Bella so look for that! She also colored her image using Spectrum Noir Alcohol Ink Markers. And now for the Sunday Shares on this beautiful Monday afternoon! Because of our internet issues last week I am sharing the projects that our fabulous design team members created that should have posted on Wednesday, Thursday & Friday! First up is Lisa Rasmussen whose our Wednesday artist. 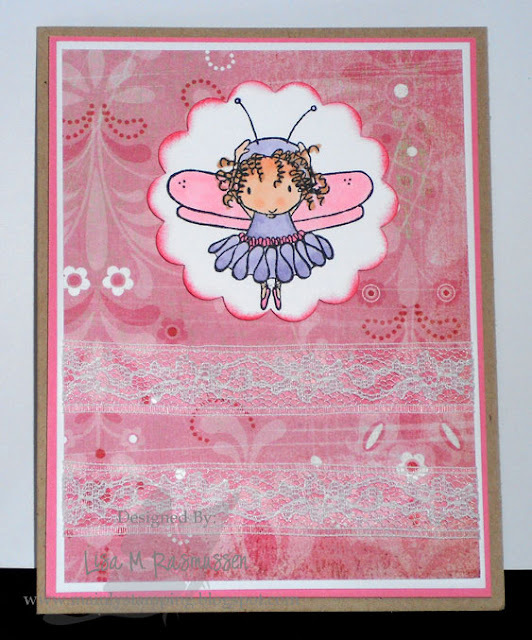 She created this adorable card using the Twinkle Toes Huggabugg from Stamping Bella. We will be adding this collection to our store in the near future! I love the lace and the colors that Lisa chose for her card. This would be a great card for all types of occasions! She created this SUPER CUTE card using the Pink Cat Studio stamp called Giraffe and Monkey. We will be adding this stamp to our next order with them so look for it soon! I love how Ceal paper pieced her giraffe to match the background paper. Very cute idea! This would be a great image for both boy and girl baby cards! Meredith used the Lawn Fawn stamp set called Partly Cloudy. She did an awesome job with the layers and all the texture. I love her use of the corrugated cardboard and the colors are just beautiful together! This would definately be a cheerful pick me up on a rainy day! I hope you enjoyed all of the cards today! Hopefully this week our internet will cooperate so we can resume our regular posting days! 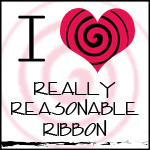 Be sure to visit Loves Rubberstamps later tonight... 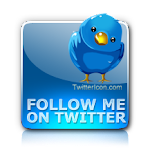 I will be adding lots of new goodies that arrived while the internet was down! 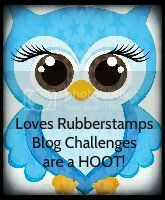 Also you still have time to play in this week's Loves Rubberstamps Blog Challenge - we are giving away a $25.00 shopping spree to one lucky player!